Intent: Create a pair of sabers for Celiana. 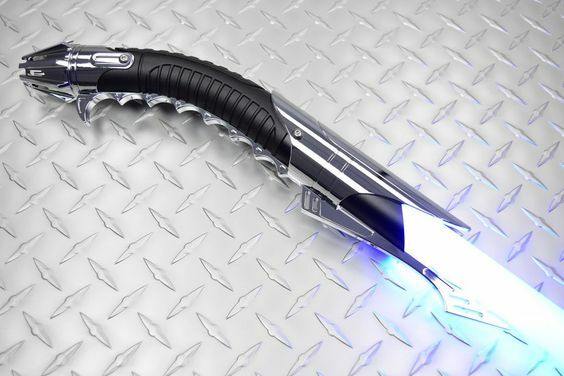 Material: Beskar saber casing, Terantatek leather hilts, saber crystals,lightsaber components. Celiana constructed these sabers following a defeat at the hands of Connor Harrison. During a duel her sabers had been rendered completely unusable aside from the crystals inside. One aqua and one a cyan, Celiana following her defeat imbued the crystals of her sabers with bits of herself. Making these sabers completely unusable to anyone other than her. The hiltswere individually put together. 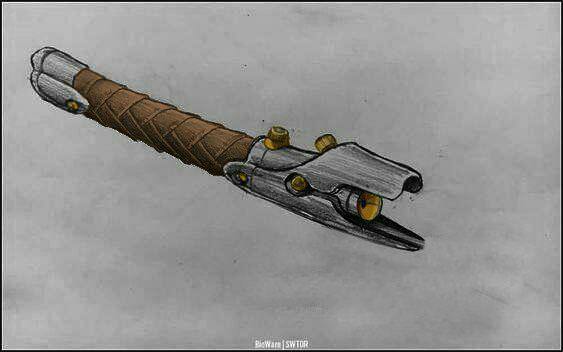 One a curved hilt geared towards the Makashi saber form. The other saber a plain saber hilt. A phrik charm of a panther head lays under the leather of the straight hilted saber. Saber crystals dangle from strands of leather on both hilts. A soft tinkling sound reminding Celiana of the shores of lakes on her homeworld of Eshan. The added touch of a bifurcating cyclical-ignition pulse is one of the special features allowing the lightsabers to operate when underwater. These sabers are a reminder to stay humble and remember the past without becoming enslaved to it. Can cut through many materials with relative ease. Versatility with both a curved hilt and straight hilt it allows for a variety of options. Cortosis will short the blade if in contact. Hilts are designed for a variety of styles but are restricted by each type of hilt. Dangerous to wield together due to the difference in styles each saber is meant for. Edited by Celiana, 13 January 2019 - 01:10 AM. Just FYI, if you have more than one item, then it should be labeled as SEMI-UNIQUE and not as UNIQUE... also, i recommend adding a weakness saying that the lightsaber cannot cut through lightsaber-resistant materials. The first image you have will have to have some source other than just the Imgur. Anyone can post anything on Imgur without the source. I ask so the site can cover their rear end. Kao Xusros, Thank you for chipping in. Edited by Celiana, 13 January 2019 - 01:12 AM.